1" Diverter Valve - ONLY 1 LEFT! 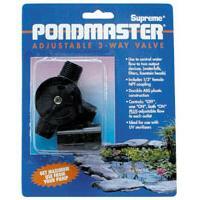 Use these 3 way adjustable valves to control water flow to two output devices. 3/4" Diverter Valve - ONLY 1 LEFT!